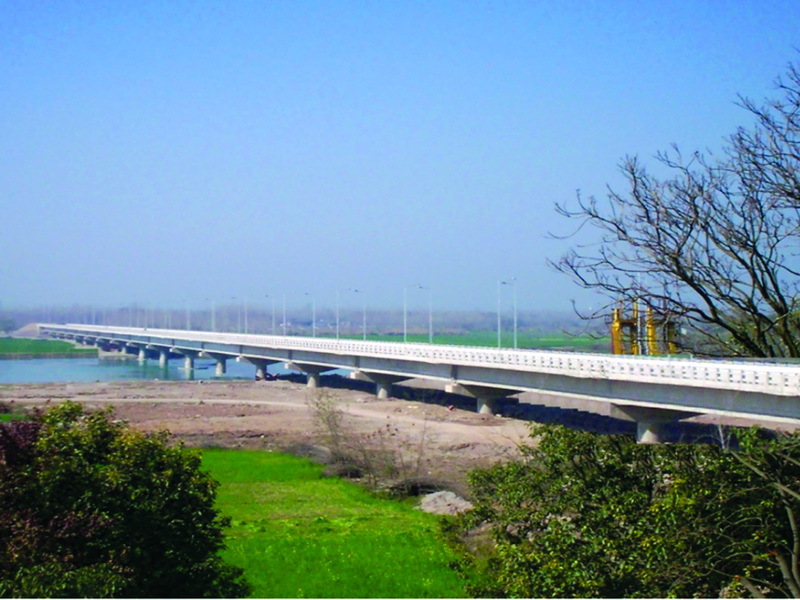 4 Lane High Level Bridge across river Sutluj on Ropar Bypass, Punjab | SP Singla Constructions Pvt. Ltd.
Well foundation of 6.80m dia of 35.50m depth placed in bouldery strata. Project included a bridge of 636m and 820m long guide bund. Superstructure consists of PSC box girders having span of 41.40m length.